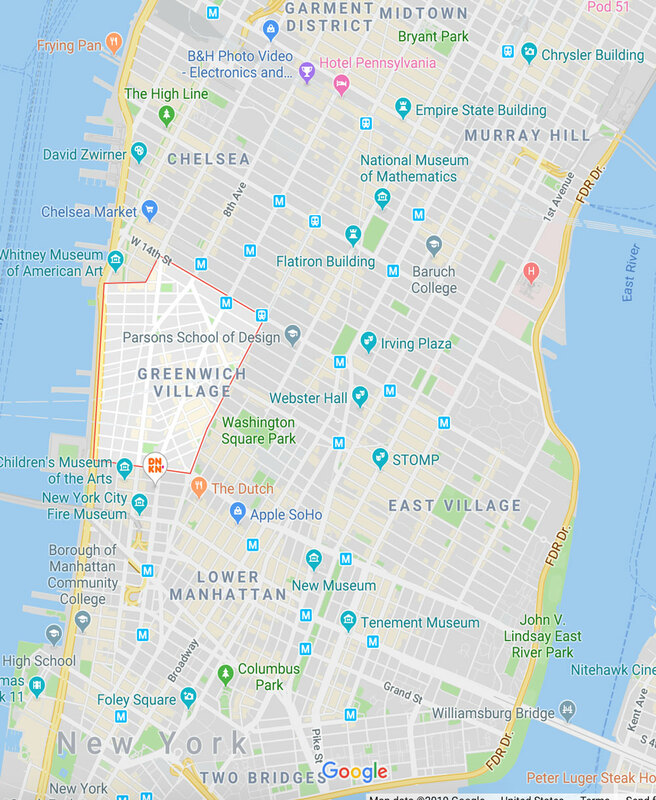 I thought it would be fun to start a new series here on the blog highlighting different neighborhoods in New York City and some of my favorite things to do in each. 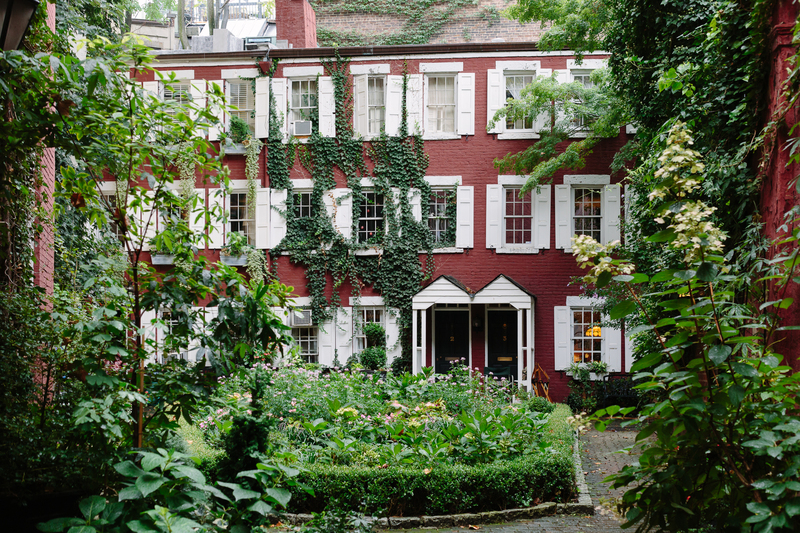 I had a great time dreaming up my ideal Upper East Side day for the recent Luxe Magazine article I was featured in, so I figured why not do that here, for all different areas of the city? Hopefully it gives you some ideas if you’re traveling to NYC and looking to start building out an itinerary. A lot of people on Instagram ask for West Village recs, so I thought that would be a great place to start! 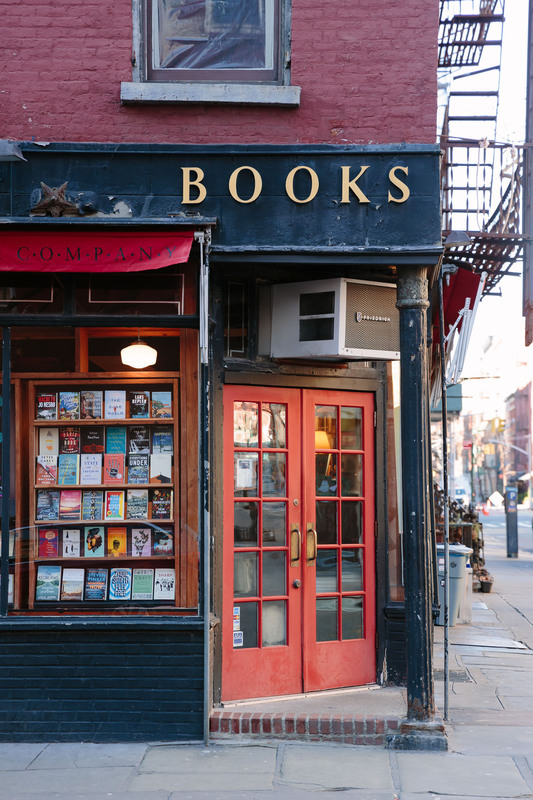 This is by no means an exhaustive list of places I love in the West Village, but these are definitely some of my top favorites. So, without further ado, here it is. Bobo: Any ideal day of mine starts off with brunch! 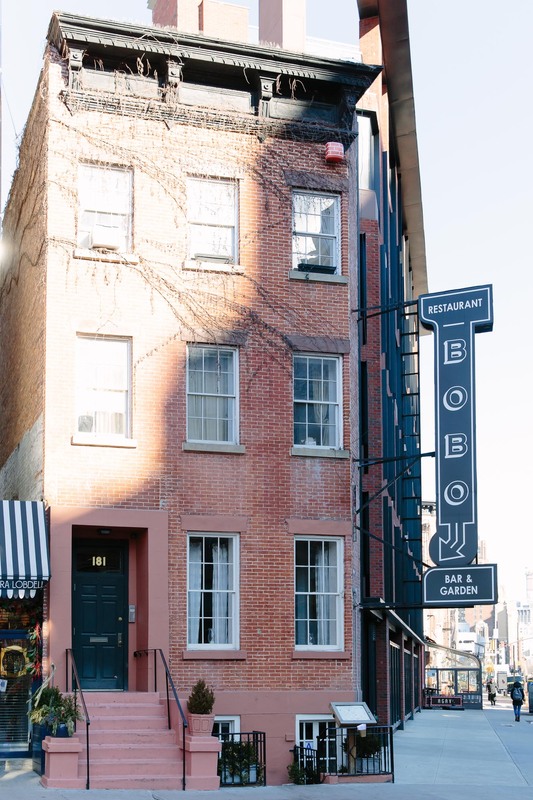 Bobo is one of my absolute favorite West Village NYC restaurants – housed in a 100 year old building, the decor at Bobo is French countryside-chic, the staff is super sweet, and the food is delicious. It feels really homey and relaxing. Three Lives and Company: I can never resist popping into Three Lives when I’m in the West Village. It’s the most charming little bookshop and at the moment the coziest place to hide away from the cold! 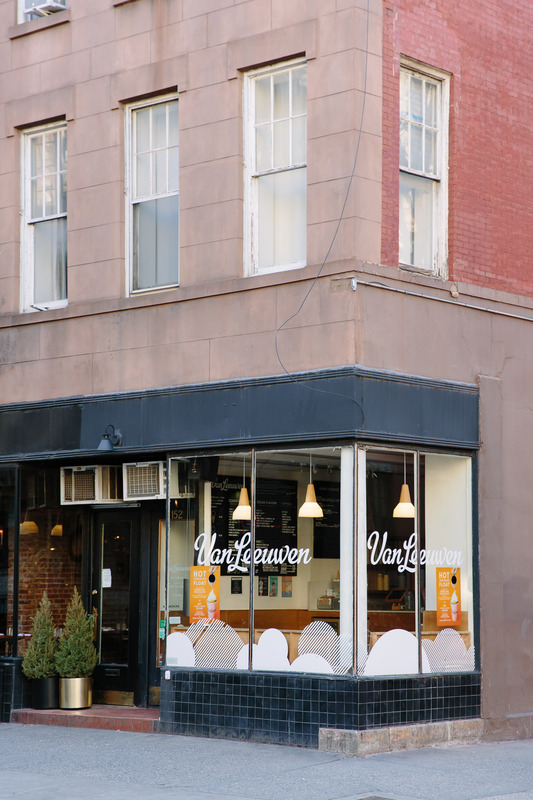 Van Leeuwen: Directly across the street from Three Lives is Van Leeuwen, one of my favorite stops for amazing ice cream, or, in this case, a cup of Toby’s Estate coffee. 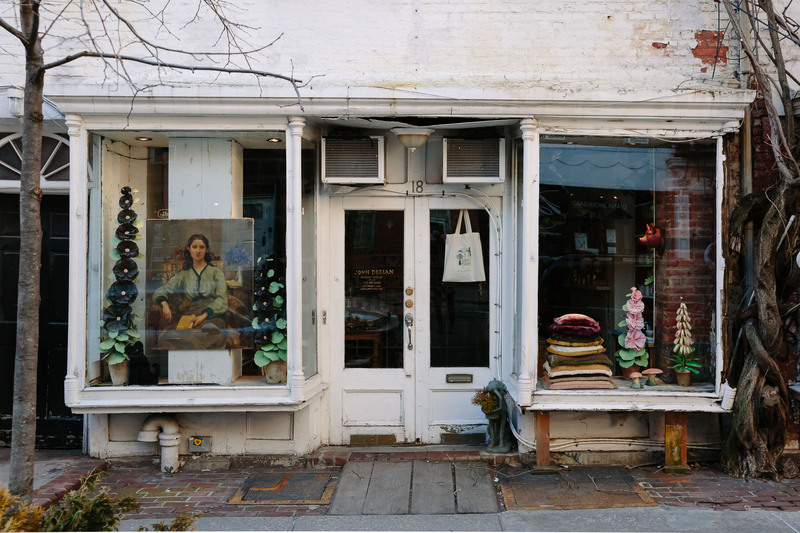 Bleeker: Bleeker Street is one of the biggest streets in the West Village for shopping. They have some of my favorite places to splurge (like Diptyque and Aesop), as well as smaller boutiques like Margaux and Hill House Home. 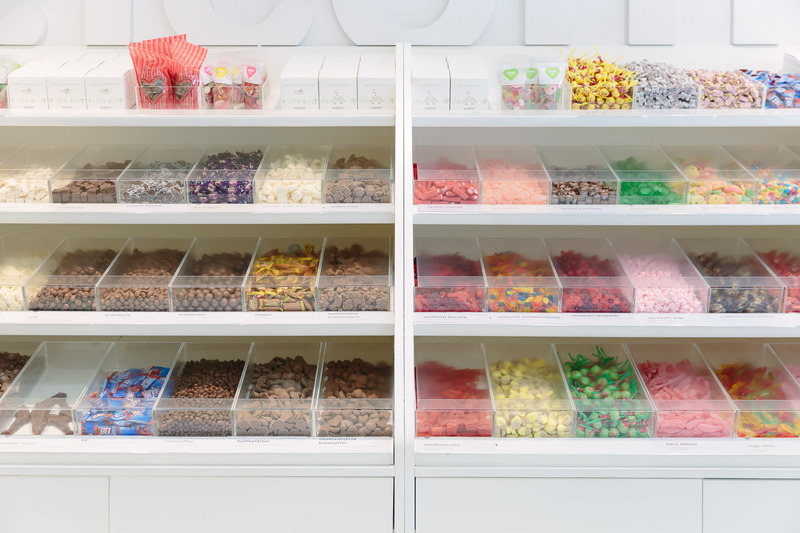 Sockerbit: Right off Bleeker you’ll also find my favorite Swedish candy shop, Sockerbit. All of their candy is natural and free of GMOs, with colors that come from nature rather than a chemistry lab. The decor is minimal and Scandi-chic, and I love popping in for a few sweet pieces to take home. Grove Court: Let’s be real – no trip to the West Village would be complete without grabbing some cute Instas! It’s always fun to peek in at Grove Court, and Grove Street itself is pretty as well (it’s where the first picture in this post was taken). 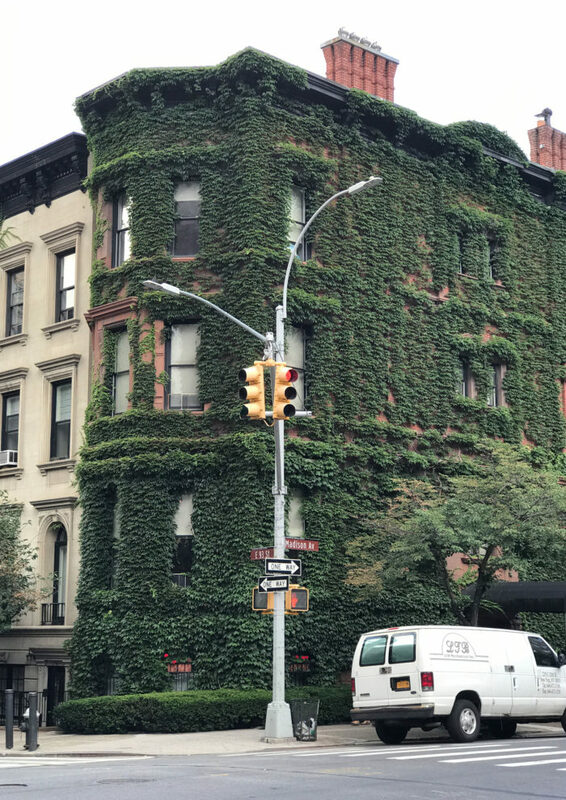 Other cute Insta spots are Commerce Street, Perry Street, Charles Street, the corner of Greenwich Street and West 11th (there’s the prettiest ivy-covered house), and so many more I should probably do a whole post just on that! Fairfax: Fairfax is an all day cafe/restaurant/wine bar, a concept which I love. 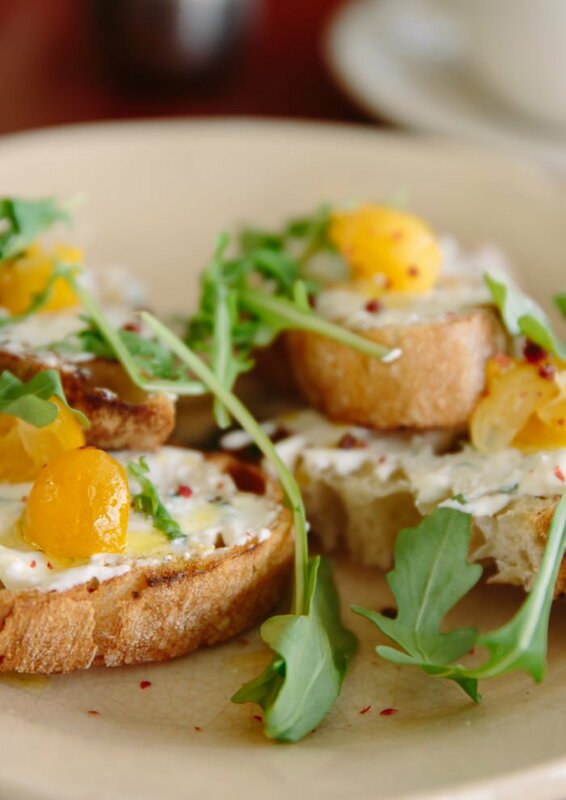 It’s great to have a spot where you can just pop in and sit down to grab a bite – somewhere different from a coffee shop or bakery. Get the hummus, it’s so good! 4PM – Shop Some More! John Derian and Company: The John Derian store on Christopher Street is such a stunner. As you can see from the lovely worn exterior, it’s perfectly imperfect and full of treasures. I did a full post on the shop here if you’d like to see inside! 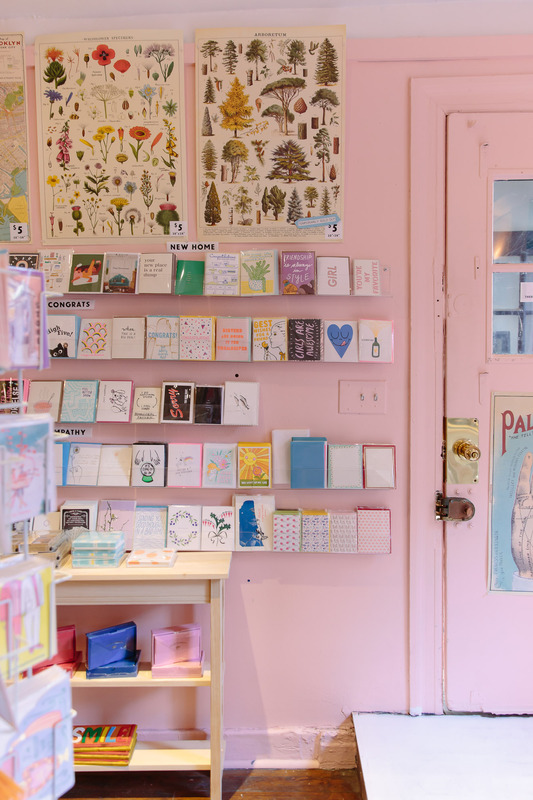 Greenwich Letterpress: This little shop is another West Village NYC favorite. 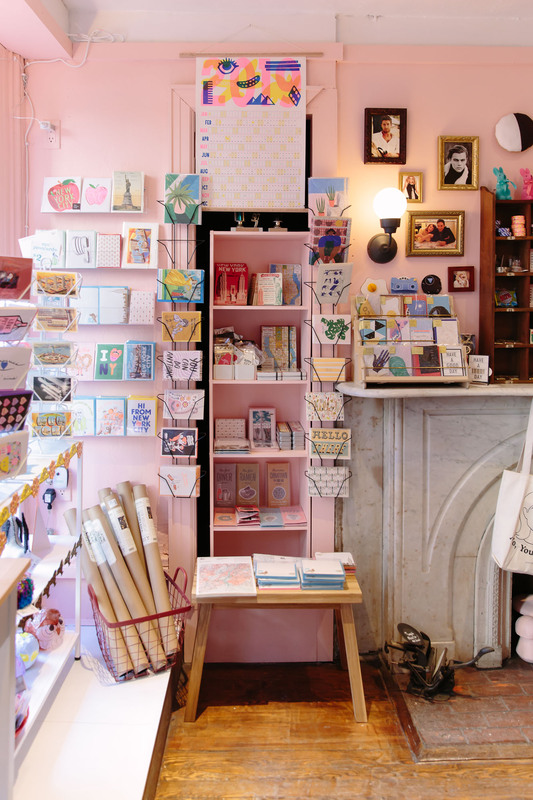 From the cheery bubblegum pink walls to the cheeky letterpress cards, it’s the perfect spot to find a cute gift or the perfect unique greeting card. Full post on Greenwich Letterpress here! Petite Boucherie: Petite Boucherie is one of my very favorite restaurants downtown. 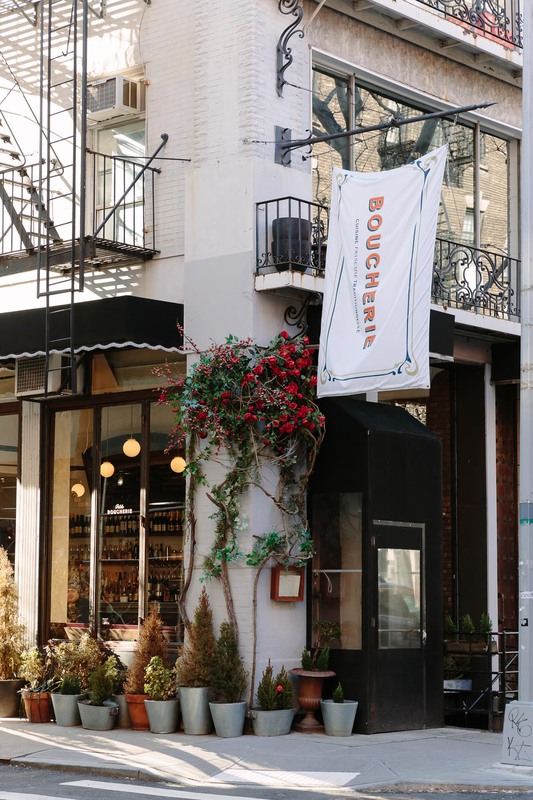 There’s a bigger version in a different part of the West Village (Boucherie), but I love the cozier Petite Boucherie, which is tucked away on the cutest little corner. The food is amazing and the ambiance is just lovely, romantic, and very Parisian. Comedy Cellar: A show at the Comedy Cellar is such a fun thing to do in the West Village. I never thought I’d like seeing standup as much as I do – it’s just really fun and no matter who’s in the lineup, you always have a good time. 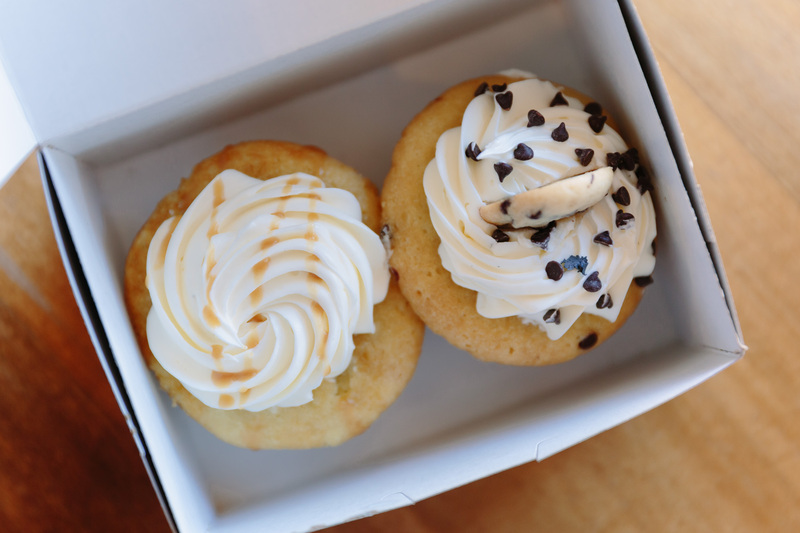 Molly’s Cupcakes: No ideal day for me would be complete without dessert! Molly’s is one of my favorite cupcake spots in the city. I know cupcakes are kind of cliche at this point but I’m telling you, these are really yummy! If you’re not a weirdo like me who prefers cupcakes over drinks (lol), head to the landmarked White Horse Tavern to grab a drink – it was opened in 1880 and is the second-oldest continually run tavern in the city. By the way, have you ever gotten confused hearing people refer to both Greenwich Village and the West Village? I included these maps just to show you – the West Village is basically the Western-most area of Greenwich Village. 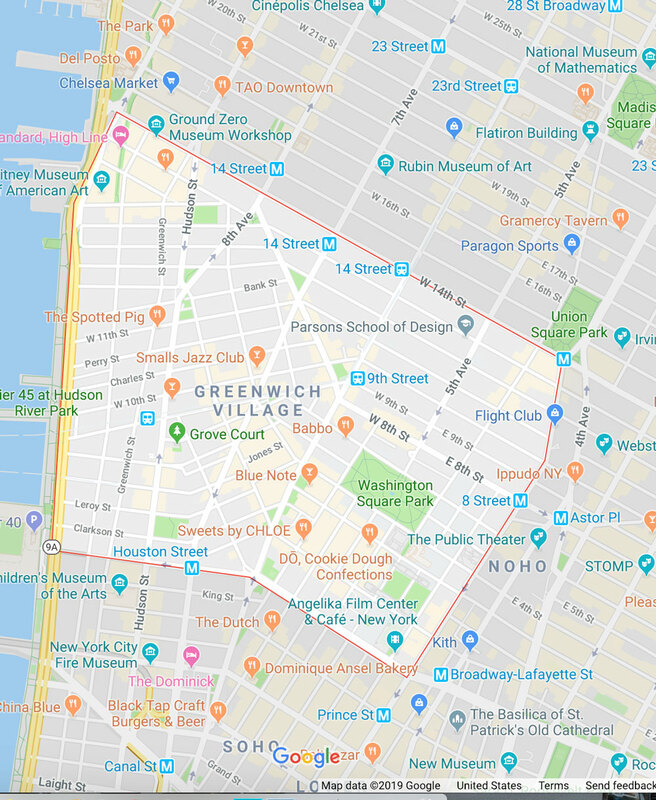 I don’t know about other New Yorkers but I never refer to Greenwich Village – I basically call the whole thing the West Village even though I don’t really feel like I’m there until I’m in the actual borders of the West Village, if that makes any sense! I have so many other favorite spots to share in the West Village but I’ll save those for future posts! So there you have it – my ideal (very busy) West Village NYC day. What neighborhood would you like to see next? 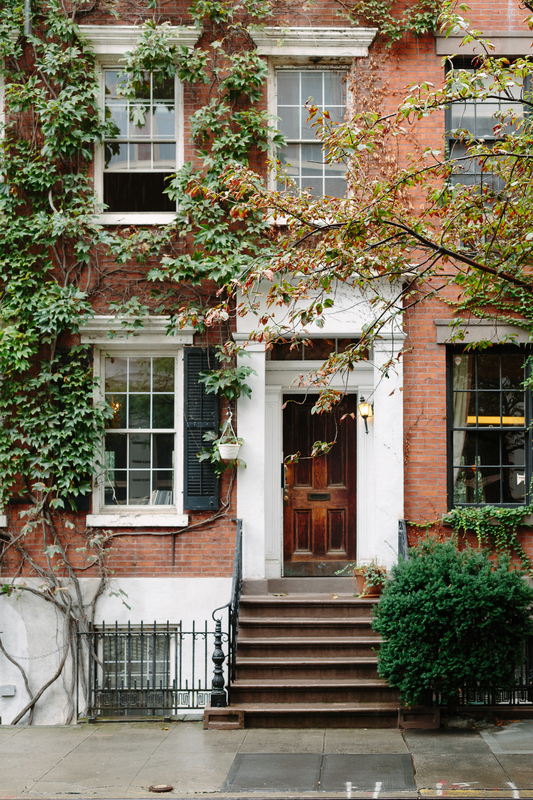 Loving this West Village NYC feature? Take a look here to see more of my favorite NYC Guide posts!!! Thanks for this! What do you think of Palma in the West Village? Any recs for Chelsea/Flatiron? Heading to NYC next week to see the Warhol exhibit, and staying in Chelsea. Oh absolutely! Tipsy Parson in Chelsea his one of my favorite restaurants in the city. I also love Eataly for the most amazing homemade pasta in their sit-down restaurant. ABC Kitchen and ABCv are also favorites, and I love the Rizzoli bookstore in Flatiron! Thoroughly enjoyed the trip, I’ve been to NYC about 5 times I always stay either east or west Village but you still managed to turn me on to a couple of new places. Loved this! Just bookmarked all your suggestions for a future visit! Would love Chelsea or Soho next! Love both of those neighborhoods so definitely going to work on those! Thank you for the Chelsea/Flatiron recommendations! We had lunch at ABC Kitchen, and spent a delightful half hour at Rizzoli’s. Both stellar choices! Thanks again! I’m so, so happy to hear that! Really glad you had a nice time!